Kylie Jenner is making good on her promise to ensure that the Kylie Lip Kit restock happens more often, which is why her super successful product line will be sold today at 7 p.m. EST, according to Racked. Yes, this gives all of you another chance to finally snag one of the shades that you don't already have from the collection, or get your hands on these must-haves for the first time. Judging by how well the previous resell dates have gone, make sure that you are well-prepared to buy the Kylie Lip Kit because these babies sell out in minutes. 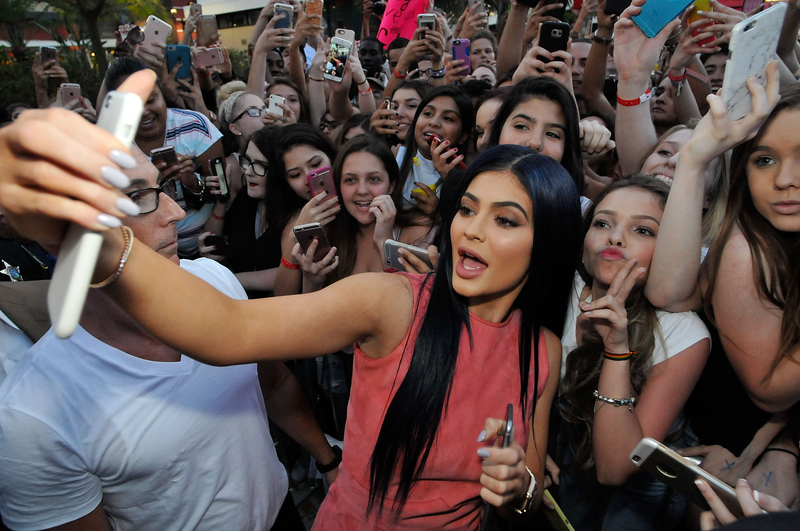 So, what shades will Jenner make available for her fans tonight? It seems that the latest color Kourt K will be sold later this month, but that doesn't mean you shouldn't try to grab one of the other colors — whether it's from the original Kylie Lip Kit trio made up of True Brown K, Dolce K, and Candy K; the romantics Koko K, Mary Jo K, and Posie K; or the latest orange lip kit 22. As per ush, these sold-out products will be available for purchase exclusively on the Kylie Cosmetics site, but not for long. While Jenner has teased the big on-sale dates before, she's relatively more quiet about revealing today's restock. Perhaps she's figured out that word of mouth (pun intended) is enough for her fans to find out when the next restock is happening, or maybe she's just taking a mini-break from any promos and enjoying other things like her 55 million Instagram followers or visiting the Wizarding World of Harry Potter with her BFF Jordyn Woods. But a few hours ago, the following image popped up on Kylie Cosmetics' IG, signaling today's restock. Of course, fans took to social media to let the world know how waiting for the next Kylie Lip Kit restock makes them feel. May luck be on your side tonight!